Cool must be in John Varvatos' blood. He has an eye for subtly updating classics with turning loyal fans of a style away. 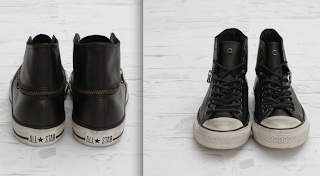 What he's been doing with Converse has given the label an different aspect of cool centered around downtown in that 'wear as you please for whatever occasion' Converse fashion. 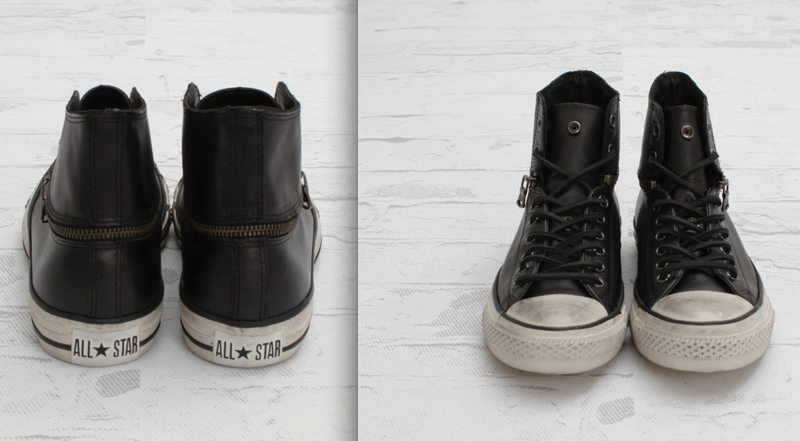 His Spring/Summer 2012 Chuck Taylor Zip Hi offering does not disappoint with its brushed metal eyelets, mid ankle zip-around detail and vintage treated sole. Available now at select Converse retailers and at Concepts in Boston.